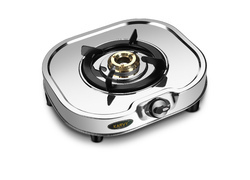 We are successfully engaged in providing a wide gamut of Single Burner Gas Stove. High quality extra thick, stainless steel body. specially designed brass burners for better efficiency . brass rod injectors jets for constant consumption brass rod valves for trouble free working. With an objective to fulfill the demands of our clients, we are engaged in manufacturing and supplying a wide range of Single Burner Gas Stove. - Used in houses for preparing food. 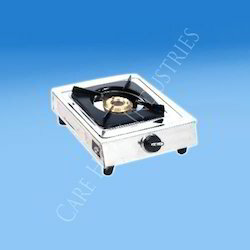 We are foremost organization, actively occupied in providing a wide range of Single Burner Gas Stove.